The essential to clean indoor air. Routine duct cleaning and dryer vent cleaning can eliminate dust mites, spores, mold, and etc depending on your system climate control and how well it is insulated..
Good practice means normal cleanings by a certified Mainstream technician can lead to a healthy climate within your home. Always change your filters once a month. 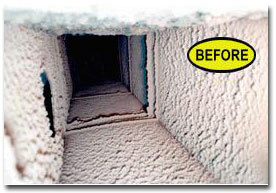 Having routine inspections of your heating and air-conditioning system twice a year can eliminate costly repairs. Always use qualified Indoor Air Quality (IAQ) technicians. Clean and Checks for your unit is a must. Using this guide can save you hundreds of dollars throughout the course of each year. 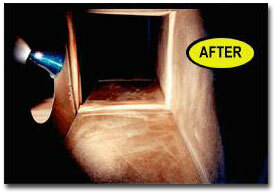 This is the result of poor maintenance of your duct work system.